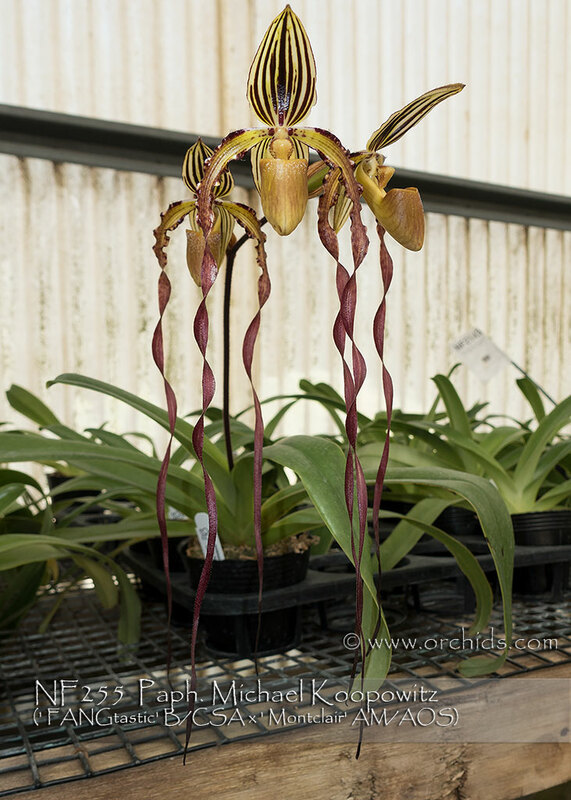 Producing an amazingly grand display, Paph. 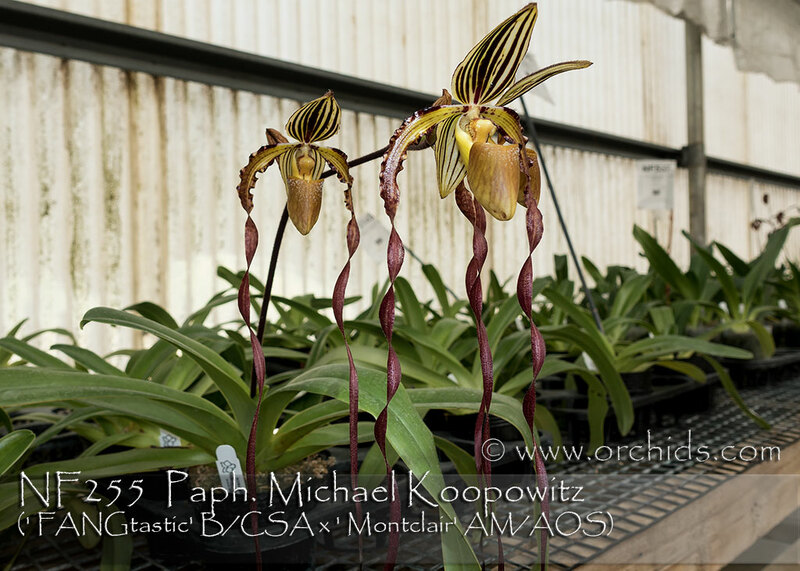 Michael Koopowitz is an all around favorite among all Paph. multi-florals ! This population is the result of sibbing two select clones of the hybrid to produce an even more majestic result with distinctively marked and striped dorsal sepals and gracefully twisting long petals. Very Highly Recommended !